Chagatai Khan: Oath Under PCO & Memory Loss of Ansar Abbasi. I wonder if Mr Ansar Abbasi haven't forgotten the fate of Habib Wahabul Khairi/Al Jehad's Petition against General Musharraf and what the very present Judiciary did with the Petition of Habib Wahabul Khairi and Al Jehad Trust. ISLAMABAD: The newly appointed Attorney General Maulvi Anwarul Haq was deputy to the late attorney general Chaudhry Muhammad Farooq when the latter during the Nawaz Sharif’s tenure wrote to the Swiss authorities to open cases of corruption against Asif Ali Zardari, Benazir Bhutto and others. According to a source, Maulvi Anwarul Haq has servedas a deputy attorney general under Chaudhry Muhammad Farooq and was a member of the late attorney general’s team, which helped Farooq to prepare a letter that was sent to Swiss authorities with the request to open cases of corruption against Asif Ali Zardari and others. The source said the otherwise reputed Anwarul Haq, who took oath under General Musharraf’s 2007 PCO, had been made a judge of the Lahore High Court during the Nawaz Sharif tenure on the recommendations of the then chief justice Ajmal Mian and received the fullest support of Chaudhry Muhammad Farooq. In a twist of fate, Maulvi Anwarul Haq was appointed the attorney general on Tuesday in the middle of the ongoing tense situation between the judiciary and the executive over the question of once again writing to the Swiss authorities to get the Swiss cases against President Asif Ali Zardari reopened. Over four months back the Supreme Court declared the NRO void ab-initio and besides passing other directions, had also ordered the government to write to the Swiss authorities to get the corruption cases reopened. Following the promulgation of the NRO, the cases were closed by the Swiss authorities, who were approached by Justice (retd) Malik Qayyum, who served as the attorney general during 2007-08. According to the Supreme Court, Malik Qayyum had acted without any lawful authority. BUT WHAT ABOUT THOSE PCO JUDGES WHO LEGALIZED THE MARTIAL LAW OF GENERAL PERVEZ MUSHARRAF? DID JUDICIARY STOPPED THIS FROM HAPPENING? WHERE WERE THE SO-CALLED PRESS CLIPPINGS AND NEWS REPORTS OF MR. ANSAR ABBASI AND MR. AHMAD NOORANI WHILE NATIONAL ACCOUNTABILITY BUREAU AND ISI TINKERING WITH THE LAW AND CONSTITUTION TO DISTORT THE CONSTITUTION FOR WHICH THE SAME JUDICIARY GAVE THE CARTE BLANCHE TO THE MILITARY REGIME OF MUSHARRAF FROM 1999 TO 2007. What a joke! On one hand the "Judicairy" orders the NAB to write letter to the Swiss Government and then the same "Judiciary" also say "Swiss officials do not acknowledge the NAB’s law"
AND THE SAME PAKISTANI JUDICIARY AND JUDGES WERE VERY PLIANT AND OBEDIENT UNDER THE MARTIAL LAW REGIME FROM 1999 TO EVEN NOW. ISLAMABAD, Nov 15 (Reuters, AP) — A parliamentary member of Pakistan’s former ruling party filed a petition before the Supreme Court on Monday challenging last month’s military coup that toppled Prime Minister Nawaz Sharif, court sources said. They said the country’s top court was yet to fix a date to consider admissibility of the petition by Zafar Ali Shah, a member of the suspended National Assembly. It is the first legal challenge to the bloodless October 12 coup that installed Army Chief Gen Pervez Musharraf as Chief Executive. Mr Shah told reporters that he had requested the court to declare the military takeover "illegal and unconstitutional", and order the restoration of Mr Sharif’s government that was dismissed by General Musharraf and of the two-chamber National Parliament and four provincial assemblies that were suspended. 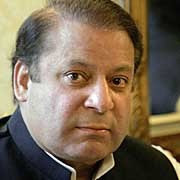 He said another petition against the coup would be filed later by Mr Sharif’s Pakistan Muslim League (PML) Party. Today’s petition coincided with a court hearing in the port city of Karachi, where the police told a judge that Mr Sharif was not in their custody. Mr Sharif has been under detention at a secret location, thought to be near Islamabad, since the military coup that overthrew his government on October 12. The police said last week they expected he would be moved to Karachi today. KARACHI: Four former allies of deposed Premier Nawaz Sharif pleaded not guilty on Monday to charges of treason and hijacking. Mr Sharif, who was reportedly transferred to the southern port city of Karachi yesterday, did not appear in court. His whereabouts is not known. Mr Sharif has been in army custody since the military overthrew his government in a coup on October 12. Last week, the army filed charges against Mr Sharif and seven other men in connection with an incident in which the passenger aircraft returning Army Chief Gen Pervez Musharraf to Pakistan was refused landing permission in Karachi. The aircraft was allowed to land after the army took control of the airport control tower, but fuel aboard the aircraft had run perilously low. According to the charge sheet against Mr Sharif, there were only seven minutes of fuel remaining. General Musharraf said the refusal to allow the aircraft to land endangered his life as well as those of 200 passengers and crew on board. Appearing in court today were Ghaus Ali Shah, a former advisor to Mr Sharif on southern Sindh provincial affairs, Aminuddin Chaudhry, former chairman of the Civil Aviation Authority, Shahid Khaqan Abbasi, former head of the National Pakistan International Airlines, and Rana Maqbool, former Sindh provincial police chief. - Mr Justice Irshad Hassan Khan ISLAMABAD: Thirteen judges of the superior judiciary, including Chief Justice of Pakistan Mr Justice Saeeduzzaman Siddiqui, ceased to hold office after they refused to take fresh oath under the Provisional Constitutional Order (PCO), on Wednesday. Mr Justice Irshad Hassan Khan became the new chief justice of Pakistan as the judges of the Supreme Court, Federal Shariat Court and four High Courts were administered oath under the PCO. Six judges of the apex court, including the chief justice, refused to take fresh oath. The other seven judges who were not invited for the oath were two from the Lahore High Court (LHC), two from Peshawar High Court (PHC) and three from Sindh High Court (SHC). Mr Justice Irshad Hassan Khan was administered oath by President Rafiq Tarar at Aiwan-e-Sadr. Six other judges of the Supreme Court and the entire fleet of judges of the Federal Shariat Court also took oath under the PCO. All the four judges of the Federal Shariat Court (FSC) were also administered oath. Out of the existing strength of 102 judges of the entire superior judiciary, around 89 judges were administered the new oath on Wednesday. The ceremony was attended among others by Chief Executive General Pervaiz Musharraf, federal ministers, members of National Security Council and senior civil and military officials. Those who took new oath "will discharge their duties and perform their functions honestly and to the best of their abilities and faithfully in accordance with the Proclamation of Emergency of the October 14, 1999, the PCO No. 1 of 1999 as amended, this order and the law," the new oath says. It adds: "That I will abide by the provisions of the Proclamation of Emergency of the 14th day of October, 1999, the Provisional Constitution Order No. 1 of 1999 as amended this Order and the Code of Conduct issued by the Supreme Judiciary Council." 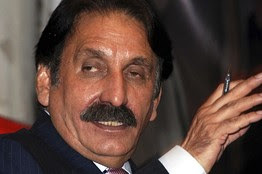 Sixty-two-year-old Chief Justice Siddiqui, who refused to take the oath, said, "I have no regrets about my decision. There is no question of my taking the oath. That was absolutely clear to everybody." The Tuesday midnight move was seen by many as a repeat to what the last military ruler, General Ziaul Haq, did in early 1980s. At that time few of the judges also refused to take oath. "Whatever has happened is in the interest of the country," said Chief Executive General Pervaiz Musharraf, who attended the swearing-in ceremony for the new chief justice of Pakistan and other judges at the Aiwan-e-Sadr. He, however, reserved further comments, though Law Minister and Attorney General Aziz A Munshi said, "Things have happened as situation warranted." He added, "It is their own choice." He was asked about the judges who did not take oath. By and large, the lawyer community believed that this move has created a "sharp division" in the superior judiciary. Pakistan Muslim League, which is likely to face the music the most, described this decision as the "blackest spot" in the country's judicial history. 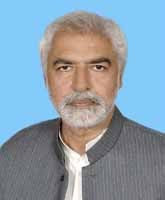 "Now the country has put under real martial law," said top PML leader Raja Zafarul Haq. The seven Supreme Court judges who took oath under the PCO were Mr Justice Irshad Hassan Khan (Chief Justice), Mr Justice Bashir Jehangiri, Mr Justice Abdur Rehman Khan, Mr Justice Shaikh Riaz Ahmed, Mr Justice Munir A Shaikh, Mr Justice Shaikh Ejaz Nisar, and Mr Justice Ch Mohammad Arif. The judges who refused were Chief Justice Mr Justice Saeeduzzaman Siddiqui (who was due to retire on Nov 11, 2000), Mr Justice Mamoon Kazi (retiring date Dec 29, 2000), Mr Justice Nasir Aslam Zahid (Feb 2, 2000), Mr Justice Khalilur Rehman (April 24, 2001), Mr Justice Wajihuddin Ahmed (November 2003), and Mr Justice Kamal Mansoor Alam (April 2002). New appointments in the superior judiciary are expected to take place shortly. Reacting to the oath-taking, Jamaat-e-Islami chief Qazi Hussain Ahmed said, "The country seems to have plunged into a more complicated constitutional crisis." The swearing-in ceremonies were held at the Aiwan-e-Sadr and the respective governor houses in the provinces. In Punjab, 41 out of total 43 judges of the Lahore High Court were administered the oath. Only two judges -- Mr Justice Ehsanul Haq Ch and Mr Justice Najamul Hassan Kazmi -- did not take oath. Twenty-four judges and Chief Justice of the LHC Mr Justice Rashid Aziz Khan took oath at the Governor House, while 11 judges in Multan and five in Rawalpindi were administered oath. In Sindh, three High Court judges -- Mr Justice Dr Ghous Muhammad, Mr Justice Rasheed Ahmed Razvi and Mr Justice Mushtaq Ahmed Memon -- were not invited to take fresh oath under Provisional Constitutional Order (POC) in Karachi on Wednesday. The remaining 22 judges, including Chief Justice Mr Justice Nazim Hussain Siddiqui, took fresh oath in two ceremonies held at the Sindh Governor House and the SHC Committee Room. The official announcement regarding fresh oath of the judges of superior judiciary, including Federal Shariat Court, was made on Tuesday night. Due to this late-night announcement, three judges -- Mr Justice Rana Bhagwandas, Mr Justice Ghulam Nabi Soomro and Mr Justice Musheer Alam -- who were holding sittings at Sukkur and Hyderabad circuit benches could not attend the oath-taking ceremony at Governor House. They, however, were later administered fresh oath by the chief justice in the SHC building. Mr Justice Dr Ghous Muhammad, Mr Justice Rasheed Ahmed Razvi and Mr Justice Mushtaq Ahmed Memon held sitting at the principal seat of SHC in Karachi on Wednesday, but they discharged the respective boards when they were told that they were not being invited to take fresh oath under the PCO. Mr Justice Rasheed Ahmed Razvi and Mr Justice Dr Ghous Muhammad left for their homes soon after discharging their boards while Mr Justice Mushtaq Ahmed Memon stayed in his chamber till late in the afternoon. Earlier, Chief Justice Mr Justice Nazim Hussain Siddiqui and 18 other judges were invited to Sindh Governor House to take oath under PCO. Governor Sindh Air Marshal (retd) Azeem Ahmed Dauodpota administered the oath to Chief Justice Mr Justice Nazim Hussain Siddiqui. After taking fresh oath, Mr Justice Nazim Hussain Siddiqui administered oath to 18 judges at Governor House in a simple but impressive ceremony. The judges who took oath at Governor House included Mr Justice Syed Deedar Hussain Shah, Mr Justice Amanullah Abassi, Mr Justice Hamid Ali Mirza, Mr Justice Abdul Hameed Dogar, Mr Justice Sayyed Saeed Ash'had, Mr Justice Sabihuddin Ahmed, Mr Justice Abdul Ghani Shaikh, Mr Justice Mohammad Roshan Essani, Mr Justice Shamim Ahmed Sarwana, Mr Justice Zahid Kurban Alvi, Mr Justice Shabbir Ahmed, Mr Justice Ata-ur-Rehman, Mr Justice Ghulam Rabbani, Mr Justice Sarmad Jalal Osmani, Mr Justice Anwer Zaheer Jamali, Mr Justice SA Rabbani, Mr Justice M Ashraf Laghari and Mr Justice Wahid Bux Brohi. Mr Justice Rana Bhagwandas, Mr Justice Ghulam Nabi Soomro and Mr Justice Musheer Alam were administered oath at the SHC building in the afternoon by Chief Justice Mr Justice Nazim Hussain Siddiqui. ISLAMABAD, March 1: The Chief Justice of Pakistan, Irshad Hasan Khan, on Wednesday observed that when the politicians are in power, they try to become dictators but when they are out of power, they become champions of the rule of law. Presiding over a 12-member bench seized of the seven petitions challenging the military takeover, the chief justice directed the attorney general to provide details of the expenditure on holding elections, including the expenses made by the candidates on their election campaigns. The Supreme Court announced that it would decide the issue of maintainability and merits of the case simultaneously. The chief justice said the court had entertained the petitions. The bench started regular hearing of the petitions on Wednesday. The court first took up the petition of Syed Zafar Ali Shah, suspended MNA of PML from Islamabad. The representative petition of PML would be taken next and Khalid Anwer would argue the case on behalf of the party. Other petitions before the court are of Syed Imtiaz Hussain Bukhari, challenging the PCO; Fazal Ellahi Siddiqui, challenging the PCO; Shahid Orakzai, seeking restoration of Senate, office of speakers and provincial assemblies; Al-Jehad Trust, seeking restoration of Constitution to the extent of judiciary; and Syed Iqbal Haider of MWM, seeking validation of PCO. 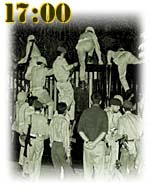 The bench consisted of Justice Irshad Hasan Khan, Justice Mohammad Bashir Jehangiri, Justice Sheikh Ijaz Nisar, Justice Abdur Rehman Khan, Justice Sheikh Riaz Ahmad, Justice Chaudhry Mohammad Arif, Justice Munir A. Sheikh, Justice Rashid Aziz Khan, Justice Nazim Hussain Siddiqui, Justice Iftikhar Mohammad Chaudhry, Justice Qazi Mohammad Farooq and Justice Rana Bhagwandas. The chief justice made it clear at the outset that the counsels should try to be relevant and unnecessary repetition of arguments should be avoided. He said the whole work of the court was suspended due to the present case. Chaudhry Farooq, the counsel of Mr Shah, said that on the last hearing the petitioner had apprehended that the judges of the court would be asked to take fresh oath under the PCO and his apprehensions proved to be true. He said the PCO (1) of 1999 and subsequent orders were unconstitutional, having no force of law. ISLAMABAD, Feb 28: The Chief Justice of Pakistan, Irshad Hasan Khan, on Monday constituted the Supreme Judicial Council, and determined the seniority of the chief justices of the high courts. According to an order passed by the chief justice in his administrative capacity, the Supreme Judicial Council had been constituted. The members of the council are: Chief Justice Irshad Hasan Khan (chairman), Justice Mohammad Bashir Jehangiri, Justice Sheikh Ijaz Nisar, Justice Mian Mohammad Ajmal, and Justice Mian Allah Nawaz. Only four cases were referred to the council in the last 52 years. The last case of the Lahore High Court judge, Justice Shiekh Shaukat, was referred about two decades ago. According to a press release issued by the Supreme Court, the chief justice has institutionalized the decision-making process relating to administrative matters and decentralized his powers. Justice Bashir Jehangiri, senior judge of the Supreme Court, has been delegated financial powers of the chief justice to sanction expenditure up to Rs30,000. Justice Jehangiri would assist the chief justice in matters relating to the administration of the Supreme Court and proposals for improving and strengthening the administration of justice. Other judges of the Supreme Court are also delegated different duties, such as chairmen of different committees and members of the universities’ syndicates. The chief justice also determined the inter seniority of the chief justices of high courts. They are (seniority wise): Justice Mian Mohammad Ajmal, chief justice of the Peshawar High Court; Justice Mian Allah Nawaz, chief justice of the Lahore High Court; Justice Syed Deedar Hussain, chief justice of the Sindh High Court; and Justice Javed Iqbal, chief justice of the Balochistan High Court. POWERS DECENTRALIZED: The Chief Justice of Pakistan, Mr. Justice Irshad Hasan Khan, has taken several steps to decentralise his powers and institutionalise decision making relating to administration to further improve performance and smooth functioning of the judiciary, adds APP. He has delegated his powers to the following judges for smooth functioning of courts. (ii) To assist the Chief Justice in matters relating to the administration of the SC and proposals for improving and strengthening the system of administration of justice. (i) Chairman, Building Committee at Lahore, Karachi, Peshawar and Islamabad. (i) Judge-in-charge of Pakistan Law Commission regarding initiation of proposals for law reform. (ii) Chairman, Enrolment Committee of Pakistan Bar Council. Incumbent CJ in the company of sacked PCOed CJ Abdul Hameed Dogar! ISLAMABAD, March 16: Raja Anwar, counsel for Benazir Bhutto, on Friday argued that his client was convicted only because Nawaz Sharif, the then prime minister, wanted her to leave politics. Addressing a seven-member SC bench, hearing appeals of Benazir Bhutto and Asif Zardari against their conviction, Raja Anwar argued that the Ehtesab Bench, comprising Justice Malik Qayyum and Justice Najmul Hasan Kazmi, had convicted his client on the basis of documents which were inadmissible. The process of awarding pre-shipment inspection contract which was set in motion in 1992 during the Nawaz Sharif government, culminated in 1994, the counsel said. The counsel said there was no violation of Financial Rules of the Government of Pakistan in the award of tenders. He said tenders could only be rejected after assigning any reasons in writing. When he referred to rule 90 of Pakistan’s Financial Rules, Justice Bashir Jehangiri observed that in Pakistan every contract was awarded in violation of rules. At the end of every tender notice it was written that the competent authority reserved the right to reject the bids without assigning any reason. He said his client did not grant the contract, rather it approved it. The contract was awarded by Nawaz Sharif who had issued letter of intent before he was removed from office. The seven-member bench consists of Justice Bashir Jehangiri, Justice Sheikh Riaz Ahmad, Justice Munir A. Sheikh, Justice Nazim Hussain Siddiqui, Justice Iftikhar Mohammad Chaudhry, Justice Qazi Mohammad Farooq, and Justice Abdul Hameed Dogar. ISLAMABAD, April 6: The Supreme Court on Friday set aside corruption convictions awarded by the LHC’s Ehtesab bench to Benazir Bhutto and Asif Zardari, and ordered a retrial of the case. 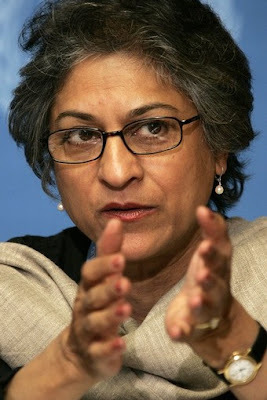 In a short order, the seven-member bench accepted the appeals of Ms Bhutto and Mr Zardari against the 1999 conviction. The detailed judgment would be announced later. The former prime minister and the suspended senator had requested the apex court to acquit them honourably. Justice Bashir Jehangiri, presiding judge of the bench, announced the verdict at 10.50am: “Reason to be recorded later in the detailed judgment, we accept the appeals and set aside the impugned judgment recording conviction against and awarding sentences to the appellants, and send the case to a court of competent jurisdiction for retrial.” On April 15, 1999, an Ehtesab bench consisting of Justice Malik Qayyum and Najmul Kazmi of the Lahore High Court had convicted Ms Bhutto and Mr Zardari. They were sentenced to undergo five years’ simple imprisonment each, and pay $8.6 million fine each. The Ehtesab bench had ordered their disqualification as members of parliament for five years, and forfeiture of their property made with money acquired through corruption. A Press Clipping/News Report written by Lawyers from Wall Street Journal on Pakistani Judiciary. When U.S. President Barack Obama sharply challenged a recent Supreme Court decision in his State of the Union address, prompting a soto voce rejoinder from Justice Samuel Alito, nobody was concerned that the contretemps would spark a blood feud between the judiciary and the executive. The notion that judges could or would work to undermine a sitting U.S. president is fundamentally alien to America's constitutional system and political culture. 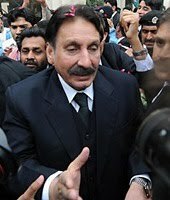 Unfortunately, this is not the case in Pakistan.Supreme Court Chief Justice Iftikhar Mohammed Chaudhry, the country's erstwhile hero, is the leading culprit in an unfolding constitutional drama. It was Mr. Chaudhry's dismissal by then-President Pervez Musharraf in 2007 that triggered street protests by lawyers and judges under the twin banners of democracy and judicial independence. This effort eventually led to Mr. Musharraf's resignation in 2008. Yet it is now Mr. Chaudhry himself who is violating those principles, having evidently embarked on a campaign to undermine and perhaps even oust President Asif Ali Zardari. Any involvement in politics by a sitting judge, not to mention a chief justice, is utterly inconsistent with an independent judiciary's proper role. What is even worse, Chief Justice Chaudhry has been using the court to advance his anti-Zardari campaign. Two recent court actions are emblematic of this effort. The first is a decision by the Supreme Court, announced and effective last December, to overturn the "National Reconciliation Ordinance." The NRO, which was decreed in October 2007, granted amnesty to more than 8,000 members from all political parties who had been accused of corruption in the media and some of whom had pending indictments. While some of these people are probably corrupt, many are not and, in any case, politically inspired prosecutions have long been a bane of Pakistan's democracy. The decree is similar to actions taken by many other fledgling democracies, such as post-apartheid South Africa, to promote national reconciliation. It was negotiated with the assistance of the United States and was a key element in Pakistan's transition from a military dictatorship to democracy. Chief Justice Chaudhry's decision to overturn the NRO, opening the door to prosecute President Zardari and all members of his cabinet, was bad enough. But the way he did it was even worse. Much to the dismay of many of the brave lawyers who took to the streets to defend the court's integrity last year, Mr. Chaudhry's anti-NRO opinion also blessed a highly troubling article of Pakistan's Constitution—Article 62. This Article, written in 1985, declared that members of parliament are disqualified from serving if they are not of "good character," if they violate "Islamic injunctions," do not practice "teachings and practices, obligatory duties prescribed by Islam," and if they are not "sagacious, righteous and non-profligate." For non-Muslims, the Article requires that they have "a good moral reputation." Putting aside the fact that Article 62 was promulgated by Pakistan's then ruling military dictator, General Zia ul-Haq, relying on religion-based standards as "Islamic injunctions" or inherently subjective criteria as "good moral reputation" thrusts thePakistani Supreme Court into an essentially religious domain, not unlike Iranian Sharia-based courts. This behavior is profoundly ill-suited for any secular court. While Article 62 was not formally repealed, it was discredited and in effect, a dead letter. The fact that the petitioner in the NRO case sought only to challenge the decree based on the nondiscrimination clause of the Pakistani Constitution and did not mention Article 62 makes the court's invocation of it even more repugnant. Meanwhile, the decision's lengthy recitations of religious literature and poetry, rather than reliance on legal precedent, further pulls the judiciary from its proper constitutional moorings. The second anti-Zardari effort occurred just a few days ago, when the court blocked a slate of the president's judicial appointments. The court's three-Justice panel justified the move by alleging the president failed to "consult" with Mr. Chaudhry. This constitutional excuse has never been used before. It is well-known in Islamabad that Mr. Zardari's real sin was political, as he dared to appoint people unacceptable to the chief justice. Since consultation is not approval, Mr. Chaudhry's position appears to be legally untenable. 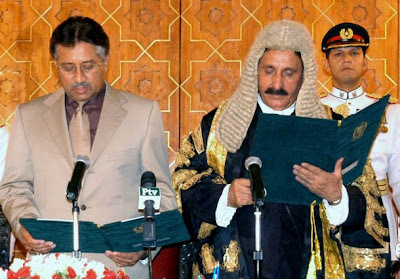 Yet Mr. Zardari, faced with demonstrations and media attacks, let Mr. Chaudhry choose a Supreme Court justice. There is no doubt that the chief justice is more popular these days than the president, who has been weakened by the split in the political coalition which brought down Mr. Musharraf. Former Prime Minister Nawaz Sharif is now a leading opponent of the regime. There is a strong sense among the Pakistani elites that Justice Chaudhry has become Mr. Sharif's key ally. The fact that Mr. Chaudhry was a victim of an improper effort by former President Musharraf to replace him with a more pliant judge makes his current posture all the more deplorable. His conduct has led some of his erstwhile allies to criticize him and speak of the danger to democracy posted by judicial meddling in politics. The stakes are stark indeed. If Mr. Chaudhry succeeds in ousting Mr. Zardari, Pakistan's fledgling democracy would be undermined and the judiciary's own legitimacy would be irrevocably damaged. 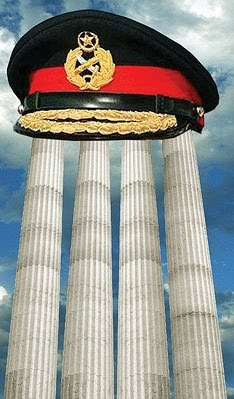 Rule by unaccountable judges is no better than rule by the generals. REFERENCE: Judicial Coup in Pakistan - Once a democratic champion, the Chief Justice now undermines the elected government. by DAVID B. RIVKIN JR. AND LEE A. CASEY FEBRUARY 23, 2010, 7:51 P.M. ET http://online.wsj.com/article/SB10001424052748704057604575080593268166402.html Messrs. Rivkin and Casey, Washington, D.C.-based attorneys, served in the Department of Justice during the Ronald Reagan andGeorge H.W. Bush administrations. The NRO case, Dr Mubashar Hasan and others versus the federation, has once again stirred a hornet’s nest. There is thunderous applause for bringing the accused plunderers and criminals to justice and widespread speculation on the resignation of the president. Very little analysis is being done on the overall effect of the judgment itself. While, the NRO can never be defended even on the plea of keeping the system intact, the Supreme Court judgment has wider political implications. It may not, in the long run, uproot corruption from Pakistan but will make the apex court highly controversial. Witch-hunts, rather than the impartial administration of justice, will keep the public amused. The norms of justice will be judged by the level of humiliation meted out to the wrongdoers, rather than strengthening institutions capable of protecting the rights of the people. There is no doubt that impunity for corruption and violence under the cover of politics and religion has demoralised the people, fragmented society and taken several lives. It needs to be addressed but through consistency, without applying different standards, and by scrupulously respecting the dichotomy of powers within statecraft. In this respect the fine lines of the judgment do not bode well. The lawyers’ movement and indeed the judiciary itself has often lamented that the theory of separation of powers between the judiciary, the legislature and the executive has not been respected. The NRO judgment has disturbed the equilibrium by creating an imbalance in favour of the judiciary. The judgment has also sanctified the constitutional provisions of a dictator that placed a sword over the heads of the parliamentarians. Moreover, it has used the principle of 'closed and past transactions' selectively. It is not easy to comprehend the logic of the Supreme Court that in a previous judgment it went beyond its jurisdiction to grant life to ordinances — including the NRO — protected by Musharraf’s emergency to give an opportunity to parliament to enact them into law. If the NRO was violative of fundamental rights and illegal ab initio, then whether the parliament enacted it or not it would have eventually been struck down. By affording parliament an opportunity to own up to the NRO appears to be a jeering gesture unbecoming of judicial propriety. The NRO judgment has struck down the law also for being violative of Article 62(f), which requires a member of parliament to be, 'Sagacious, righteous and non-profligate and honest and ameen'. Hence, the bench will now judge the moral standing of parliamentarians on these stringent standards set by the notorious Zia regime. This article of the constitution has always been considered undemocratic and a tool to keep members of parliament insecure. If parliamentarians, who also go through the rigorous test of contesting elections in the public domain, are to be subjected to such exacting moral standards then the scrutiny of judges should be higher still. After all, judges are selected purely on the value of their integrity and skills. Judges who erred in the past seek understanding on the plea that they subsequently suffered and have made amends. Should others also not be given the same opportunity to turn over a new leaf? How will sagacity and non-profligate behaviour be judged?